Home / Introducing Setter Z! Powered by technologically advanced machinery and cybernetic weapons, Setter Z boasts equipment that is on the cutting edge of science and engineering. No one knows his roots, but one thing is certain, he is a relentless servant of justice. He is, Electro-Warrior Setter Z! 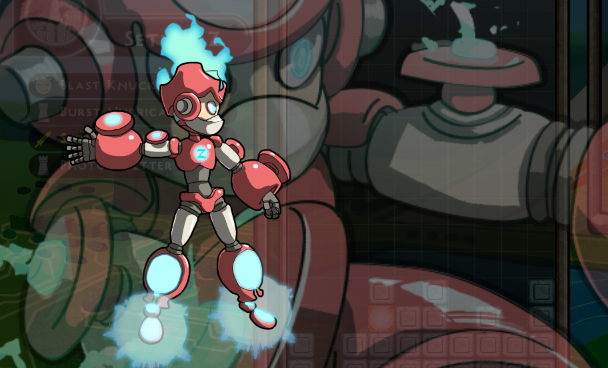 Being a fighting machine, Setter Z has the standard arm cannons, rocket punches, eye lasers, and other weaponry. With a vast arsenal, Setter Z’s play style is intended to be aggressive with frequent use of his abilities.